Bag from LennyLamb´s wrap. Nice and practice accessories. Jacquard wraps There are 25 products. 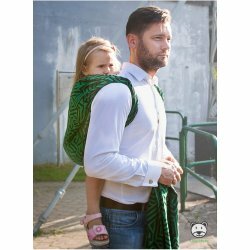 Babywearing wrap Maze Basic Green by Luna Dream. Babywearing wrap Maze Basic by Luna Dream. Babywearing wrap Talisman Orange by Luna Dream. Babywearing wrap Talisman Blue by Luna Dream. Babywearing wrap Pomerania by Luna Dream. 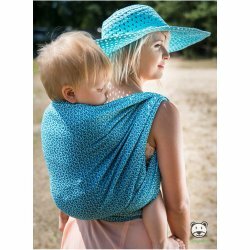 Babywearing wrap Maze Basic Blue by Luna Dream. Babywearing wrap Maze Basic Gold by Luna Dream. Babywearing wrap Mitsu Black by Luna Dream. Babywearing wrap Mitsu Ecru by Luna Dream. Babywearing wrap Mitsu Red by Luna Dream. 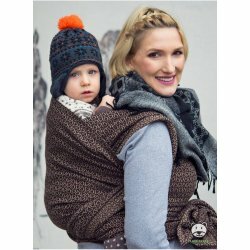 Babywearing wrap Little Prince by Luna Dream. Babywearing wrap Field Ears Mint by Luna Dream. Babywearing wrap Little Hearts Rainbow by Luna Dream. Babywearing wrap Little Hearts Silver by Luna Dream - 95% cotton, 5% Lurex. Babywearing wrap Little Hearts Gold by Luna Dream - 95% cotton, 5% Lurex. Babywearing wrap Little Hearts Ecru by Luna Dream. Babywearing wrap Little Hearts Blue by Luna Dream. Babywearing wrap Luna Black and Gold by Luna Dream. Babywearing wrap Field Ears Mint Linen by Luna Dream. Babywearing wrap Little Hearts Brown Linen by Luna Dream. Babywearing wrap Words Of Love Pink by Luna Dream.